!! OMG, how Christmasy: Heidi Klum !! 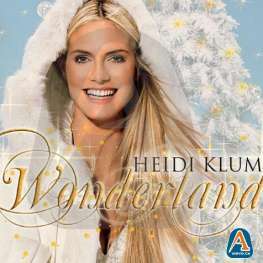 For her first venture into the recording studio, supermodel and Project Runway hostess Heidi Klum has decided to take her native Germany by storm with what seems to be a Christmas-themed single called “Wonderland.” I’m making the Christmas connection based on her furry, White Witch outfit on the cover, but it could just be a leftover Victoria’s Secret “fantasy snow angel” shot that they used to avoid paying for a new photo shoot. 1 Comment on "OMG, how Christmasy: Heidi Klum"